Raking up autumn leaves and other debris can be back breaking work – but if you have a Billy Goat garden vacuum to help, it doesn’t have to be hard work. For over 40 years, Billy Goat have been making leaf and litter collectors, starting with the original KD lawn vacuum in 1970. In the intervening years, Billy Goat products have become renowned for being durable, easy to use and maintain, while also delivering high performance. 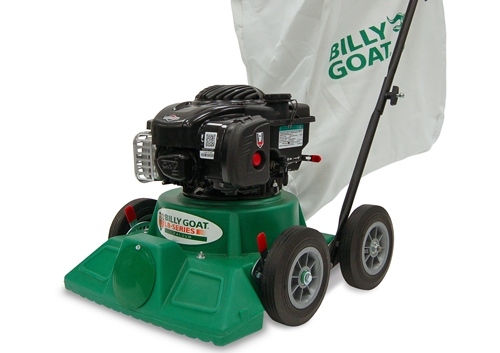 We stock a number of Billy Goat models catering for domestic and professional users. The smaller sibling of Billy Goats superb commercial vacuums, the Little Billy walk-behind leaf vacuum offers the same brilliant clean up performance but in an impressively compact package tailored for smaller gardens. 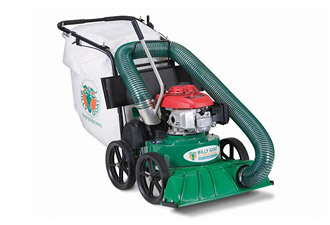 Whether it’s residential clean-up for your patio, lawn, driveway, walkway, shrubs, beds, decks, pool areas, trees, parking lots or fence lines, the KV inhales and bags all your yard clean-up debris. An optional hose kit helps between shrubs, beds and under decks or utilities. The self-propelled TKV model includes an on-board 2” chipper. 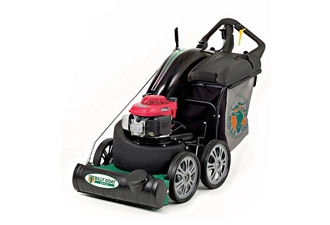 A four-wheeled outdoor vacuum cleaner designed for professional use and therefore ideal for clearing all loose debris from lawns, commercial lots, parks and city streets. Powered by a precision-engineered 187cc Honda engine. The MV650 comes either as a self-propelled or push model. 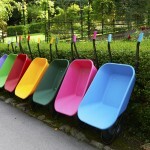 Our range of garden tools and garden machinery is available in all of our stores, in the counties of Suffolk, Norfolk, Essex, Cambridgeshire, Kent, East Sussex, West Sussex, Surrey and Hertfordshire.